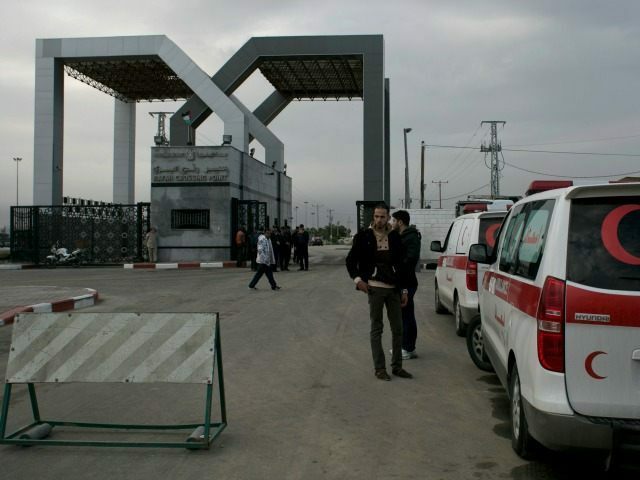 Egypt on Saturday reopened the Rafah crossing between the Gaza Strip and northern Sinai in a move seen as an improvement in relations between Cairo and the Hamas movement that rules Gaza. According to a report on Israel Radio, the crossing was opened for three days and will close on Monday. Hamas political leader Ismail Haniyeh visited Cairo for the first time in three years after the crossing was opened, and met with Egyptian officials, including the country’s chief of intelligence Khaled Fawzy, according to a report in MENA, the Egyptian official news agency. Haniyeh and the Egyptians discussed the Israeli blockade of the coastal strip, the possibility of reconciliation between rival Palestinian political factions Hamas and Fatah and the recent electricity crisis in Gaza, where residents have been suffering long power outages in recent weeks. According to the Hebrew news website Walla, Haniyeh received a festive welcome at the Shati refugee camp upon entering the Strip. His visit to Egypt came at the end of a four-month stay abroad. Haniyeh previously visited Saudi Arabia and Qatar, where he met the exiled political leader of Hamas, Khaled Mashaal, as well as Qatari Emir Tamim Bin Hamad al Thani. MENA quoted a Hamas statement saying that talks held between Haniyeh and the Egyptians will have “positive results” for the Gaza Strip. “The Egyptian brothers have presented a comprehensive vision on all issues … such vision will have positive results for the Egyptian and the Palestinian people,” a report on the MENA website said.